While Machu Picchu is certainly the most famous ruin in Peru, there are dozens of other sites that held significance for the Incas. 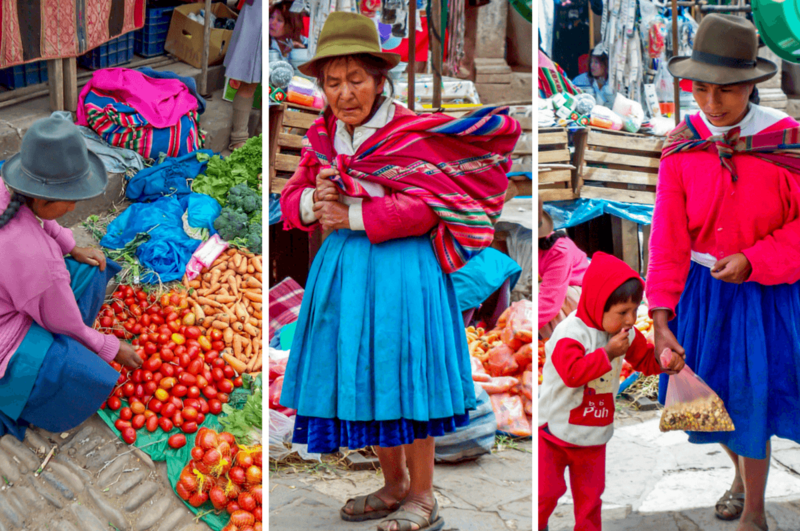 We set out to explore two of them on our day in the Sacred Valley – Pisac and Ollantaytambo – along with the awesome Pisac market. 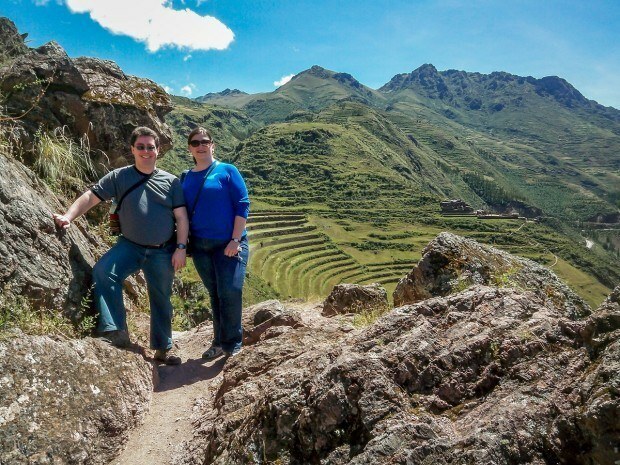 Our day in Peru’s Sacred Valley was off to an early start when we headed up to the Pisac ruins. We drove up to the top and then hiked our way down through the complex. There are ruins up on the ridge and then some ruins down near the agricultural terraces. 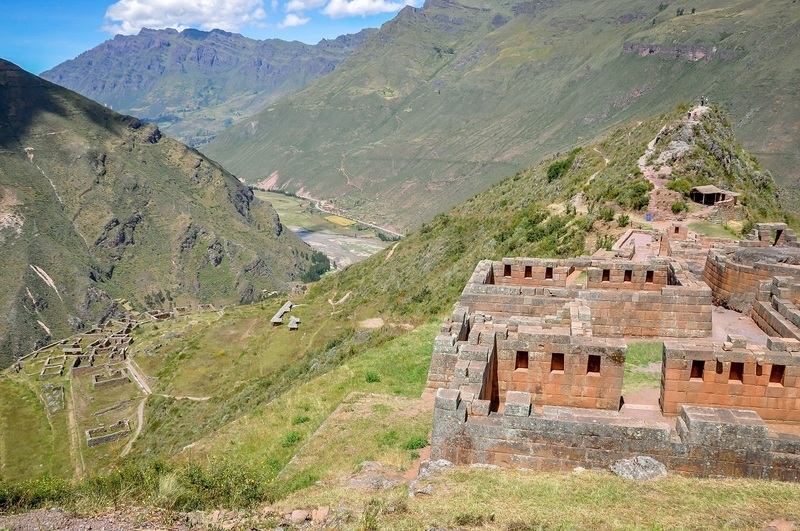 At over 11,000 feet, the Pisac ruins tower over the valleys below. The ruins themselves are in better shape than the first site we visited the day before at Sacsayhuaman, so it was easier to imagine the everyday life that took place here. 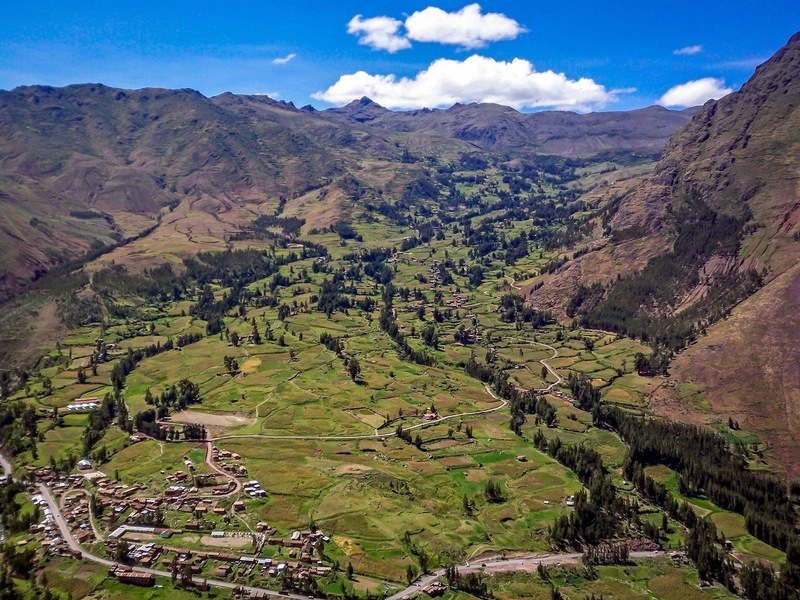 Despite having a clear footprint and defined buildings, the purpose of Pisac is still speculative (perhaps part fortress and part ceremonial). We spent several hours hiking among the ruins and the terraces. I have to say that as (slightly unfit) people from sea level, we had some difficulty at the extreme elevation, especially as the heat of the day increased. I have a fear of heights as well, so some of the drops were a bit challenging for me. But we found Pisac to be great preparation for Machu Picchu. 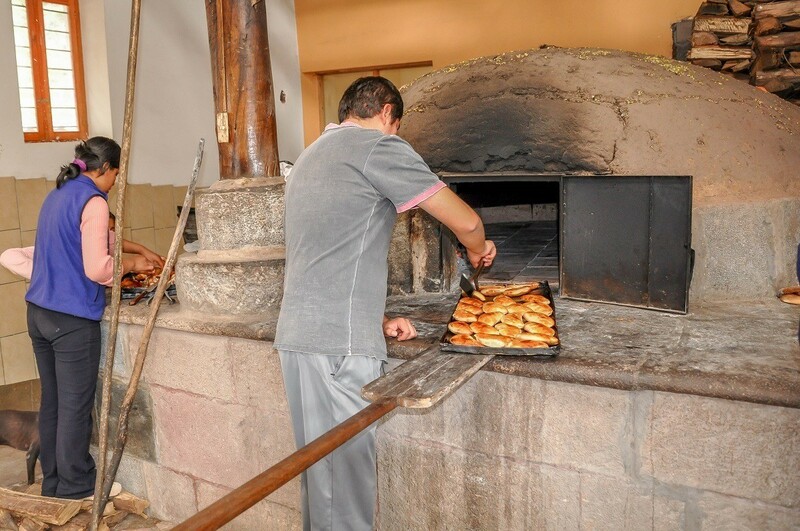 After the ruins, we headed into Pisac town and grabbed some ridiculously good empanadas from a small, family-run shop just before we reached the town. There was no name on the store, and the empanadas only cost 2 soles each. Delicious and authentic. In Pisac, we stopped at the famous Sunday market. 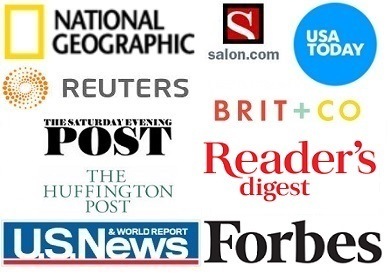 Truth be told, we’re a little obsessed with markets. There’s just something about wandering among the aisles of bright, fresh produce that becomes mesmerizing. 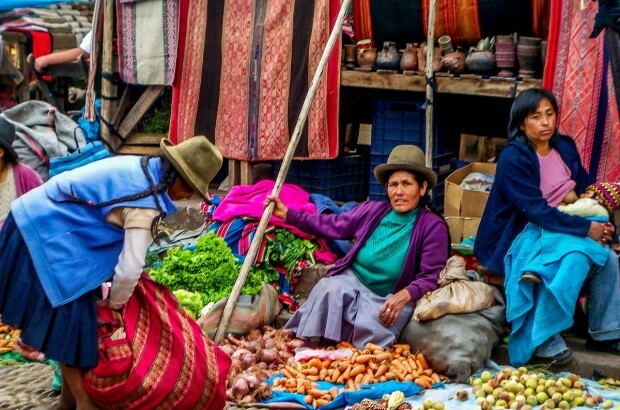 In Peru, there are the added elements of the women’s remarkable clothes, hats, and tapestries – the eye almost doesn’t know where to look first because there are so many things to see. 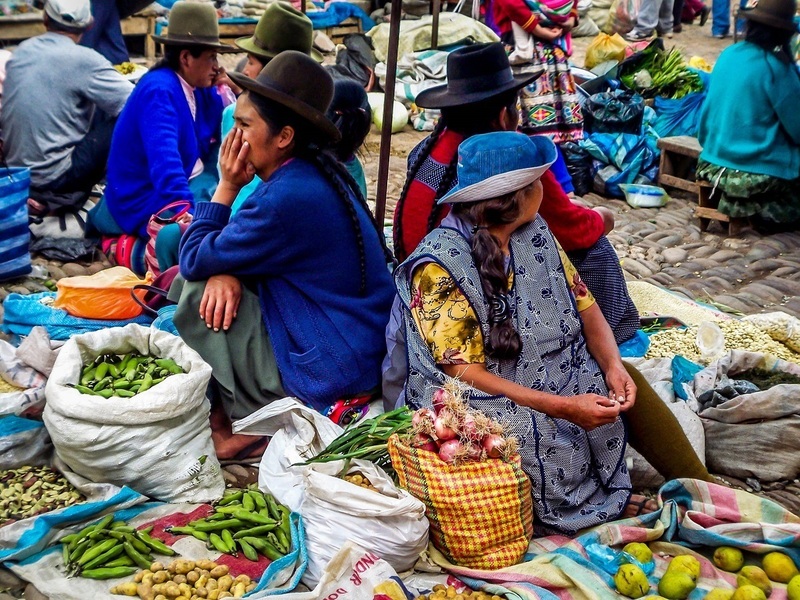 In addition to the produce, there are aisles of meats, clothes, and household goods at the Pisac market. We were kind of like kids in a candy store as we bounced around taking it all in. Unfortunately, we were a little too excited and began to run late, so after some quick purchases we stopped for a really late lunch at 3 Keros (Tres Keros) in Urubamba. Chef Richard’s amazing 6-course lunch was the best food we had in Peru. But it put us even further behind schedule. Our next stop in the Sacred Valley was Ollantaytambo. By the time we reached the ruins, we didn’t have enough time to really explore, and the sun was beginning to set. This was a real pity because there was a lot to see. 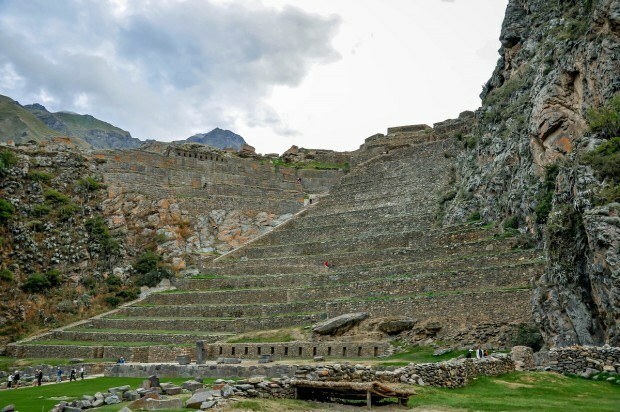 During the time of the Incas, Ollantaytambo was the estate of Emperor Pachacuti, who built the town and a ceremonial center. I can only imagine what it would have looked like in the 1400s, but the storehouses and terraces are spectacularly preserved. 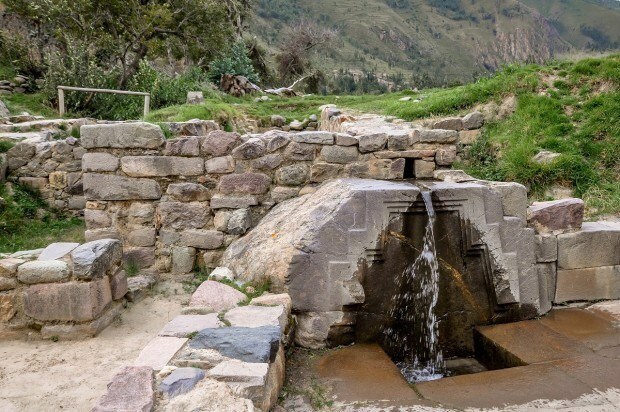 After about a half-hour, it was time for us to leave, but we’ll certainly return here if we make it back to the Sacred Valley. What do you think about A Day in Peru’s Sacred Valley? The ruins look really beautiful. 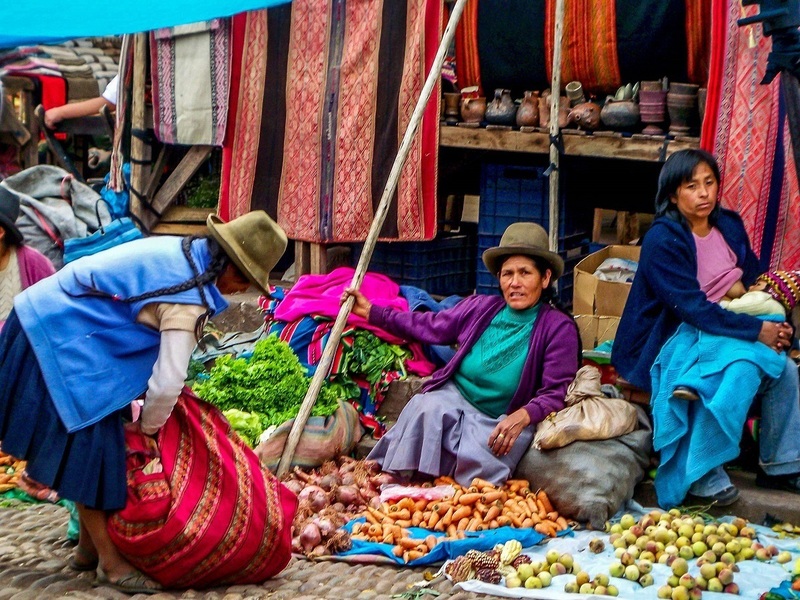 Peru has been on our list for a while and unfortunately it’s probably going to stay on our list for quite a while. 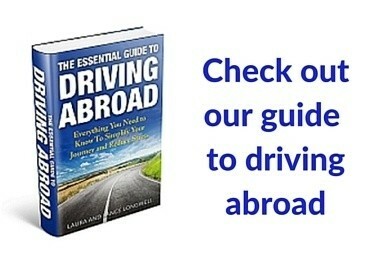 Getting there from Europe with limited vacation time isn’t the easiest thing to do. This was our first visit to South America, and we loved it. When you get the vacation time for it, it will be worth the journey. I love in general ruins, but this are very very special ones. So wonderful.